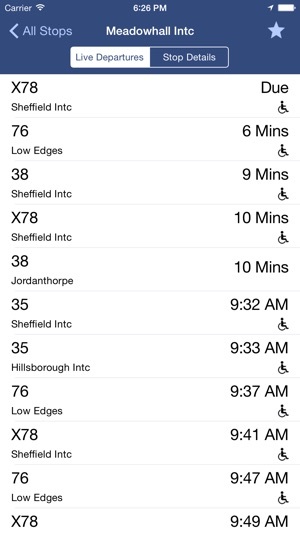 Live, localised bus & tram times for South & West Yorkshire. 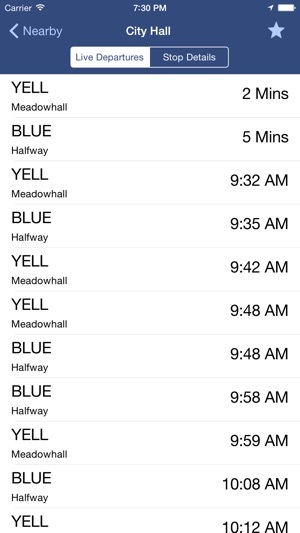 Find your nearest stop and which services are departing within the next hour. 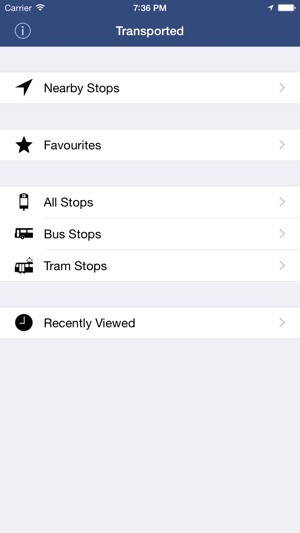 • Fully searchable list of over 25,000 bus and tram stops around South & West Yorkshire. 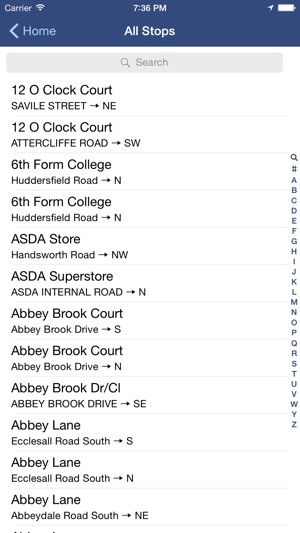 • Find nearby stops based on your current location. • View live departure times for the next hour, accurate to the nearest minute. Automatically reloading. • View which services have low floor access; preferable for wheelchair users, people with walking difficulties, and for pushchairs. • Favourite stops you use frequently for easy access. 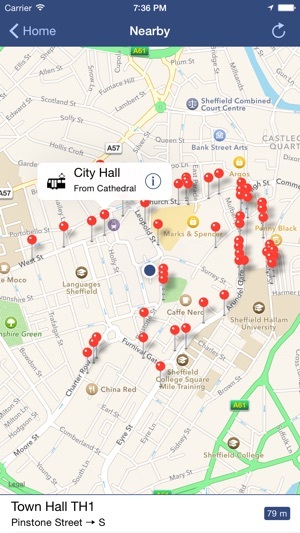 • Get directions to a stop using Apple Maps. Live departure information copyright of Travel South Yorkshire Transport Executive (http://tsy.acislive.com/default.asp) and West Yorkshire Passenger Transport Executive (http://wypte.acislive.com), who may carry out occasional maintenance on the service.